Finally Friday!!! Yay! I can't believe it is October already. I know I say that every month but I swear it was just the beginning of September and everyone was going back to school. What happened??? 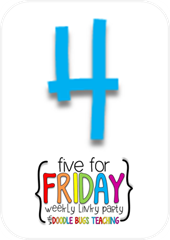 Here is 5 little peeks into my week. First, a little something for my blog owning friends out there. Are you a no-reply blogger? Yeah I didn't even know what this meant. I got an email from Jen at Teaching in the Tongass after I left a comment on her blog and she asked if I knew that I was a no-reply blogger? Um, nope. Sure didn't. So she sent me THIS link to help me out. Here is my basic explanation of what I've learned that this is. When someone comments on your blog, you get an email to your account. Then, you can reply right there to them and it will send an email to their inbox. I guess this is supposed to be a more personal touch instead of replying on the blog for the world to see. Well, if you are a no-reply blogger, your email doesn't come up when someone goes to reply to you. I guess this had something to do with changes that were made when Google+ took over your blogger profile. I had some trouble getting into my blogger settings because Google + kept popping up instead. I found THIS post that really helped me work around that. So I don't think I am a no reply blogger anymore. But I am still struggling with replying on the blog versus an email (that is, when I have time to reply). So I think I will use both depending on the comment and who writes it. Just know I love and read your comments (mostly in my inbox) and I appreciate you taking the time to do it. 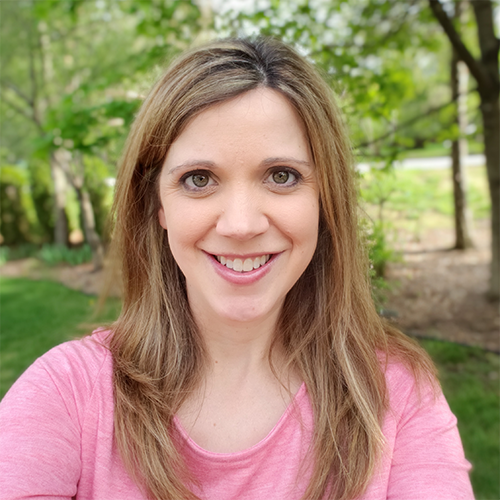 Since I read most blogs through the Bloglovin' app, I know that commenting can be time consuming because you have to actually click over to their blog to comment. And a website to share. This will probably pertain mostly to my TpT friends but others might have a need for it to. Do you even have to shrink your pictures down? Like the file size is too big for what you are trying to do? I have run into this problem a lot lately when uploading products on TpT. I think when I upgraded to Powerpoint 2013 it started making the files bigger or so it seems because that was when I started getting messages about the file size being too big. I'm sure I have a million and one programs on my computer that could solve this but I saw the site TinyPNG mentioned somewhere and it is seriously the easiest! You upload your file and it compresses it for you. Then you download it (I changed the name so I know that is the smaller one) and Voila! You've got a smaller file size. I mostly do this with my powerpoint slide jpegs that I use for my thumbnail pictures and it works without a problem. Yesterday I was trying to do it with an actual photo from my real camera (yes I do bust that out on occasion) and I couldn't get it to compress small enough to fit TpT's size requirements. So it isn't perfect but it is FAST if you need a quick way to compress your pictures. I coordinated my first blog hop using what I've learned from other hops I've participated in. I am so excited to be joining up with many of the ladies from my fabulous primary punchbowl tribe. We all connected on Instagram back in the winter/spring and decided to try out an instagram hop. Since then, we've been supporting each other and connecting in a variety of ways and I'm excited to announce that this is our latest project. 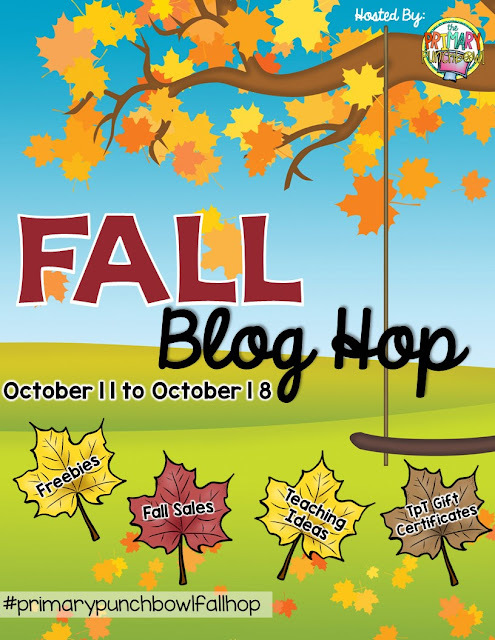 Check back on Sunday for all things fall - freebies, sales, teaching ideas and more. Plus each blog along the hop is giving away a TpT gift certificate which means lots of chances to win!! 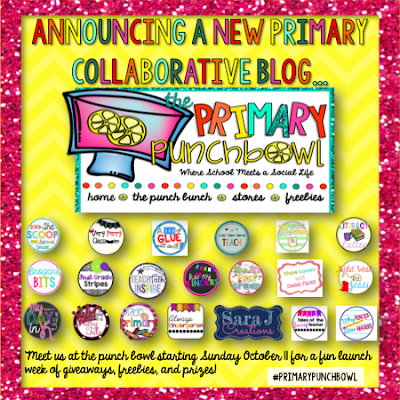 We are timing our blog hop with the launch of our new collaborative blog, The Primary Punchbowl. It will launch on Sunday at the same time as our blog hop. 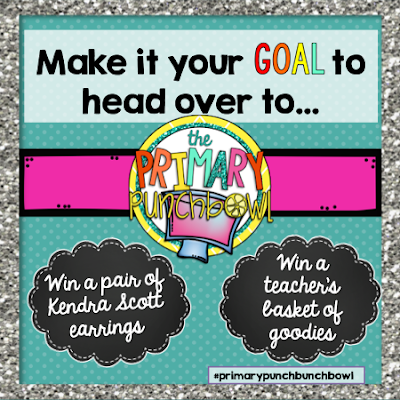 There will be giveaways over there too - like Kendra Scott jewelry and a teacher goodie basket. Make sure to check us out on Sunday!. 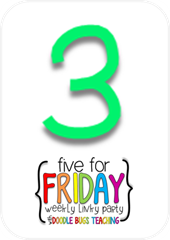 In preparation for our blog hop, I was working on a new freebie this week. And all I can say is I was a real life version of If You Give A Mouse a Cookie. I started that and it led to something else, which led to something else, which led to something else. Before I knew it, I had finished a product line and bundled it and started a new one. Crazy and so not on my to do list for the week! 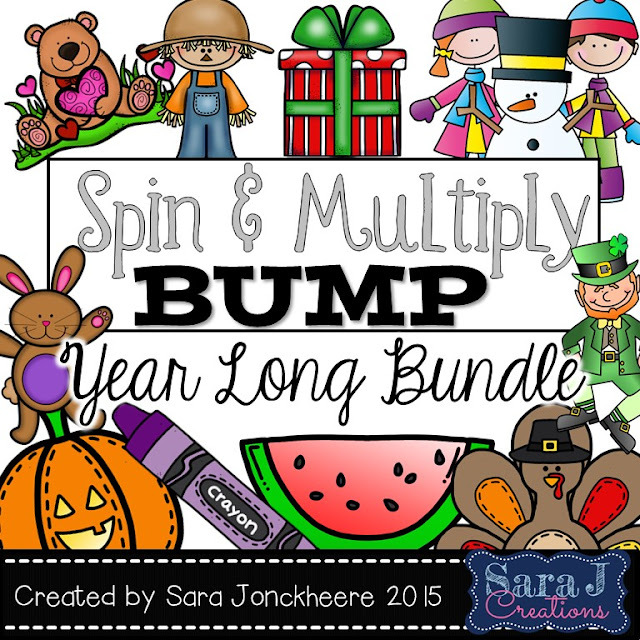 I've blogged before about my multiplication bump games that I created for the girls I tutor. Each season/holiday I would create a new version. Well, I finally finished Halloween and Thanksgiving and now the year is complete so it is available as a bundle. And since I just uploaded them two days ago, they are still half off for today, which makes the bundle $8 for 11 different versions of the game. Up next is a spin and add version for younger learners. 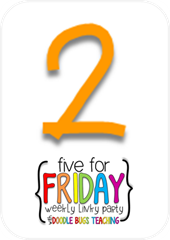 Have a great Friday and I hope to see you back this weekend for the big blog hop and launch! I had someone let me know I was a no-reply blogger awhile back. Weird eh? I think I fixed it but I feel like I should go back and double check. Looking forward to our hop and launch. I'm off to make my freebie! Thanks for the heads up about TinyPNG! It will be such a time saver. 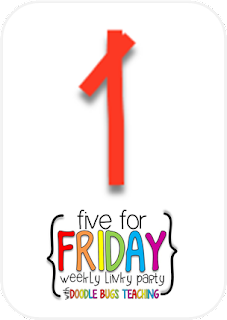 Super excited for our launch and the blog hop! I can't wait to gather up some amazing freebies! Have a great weekend!